"No epitaph can match so great a name," reads the inscription on Niccolo Machiavelli's tomb in the church of Santa Croce in Florence. Such praise of the notorious author of The Prince, the "teacher of evil," according to Leo Strauss, may seem misplaced to those with only a passing knowledge of one of history's most famous political philosophers and theorists. Ever since Machiavelli penned his 1513 treatise on princely rule and the politics of reality, a work that infamously advises rulers to abandon virtue and morality when necessary, his name has been synonymous with deceit, duplicity and amoral pragmatism. In 1559, the text was unsurprisingly registered to the Index Librorum Prohibitorum, the Catholic Church's list of banned books, on the grounds of immorality, and Shakespeare dubbed him the "murderous Machiavel" in the 1590s, a mere six decades after his death in 1527. Since then, a sinister reputation has posthumously plagued the controversial Florentine, and the accusation of being "Machiavellian," an overused and typically misapplied adjective, is a charge of behaving in a cunning, scheming and unscrupulous way. But is this depiction of Machiavelli as wicked and immoral accurate? Like most historical figures, Machiavelli was a creature of his time, and his works have distinct historical identities - written for a particular culture in a particular time. 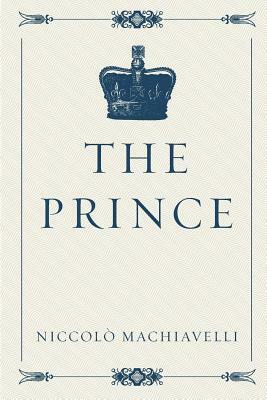 Machiavelli was a public servant during the Republic who lost his office when the Medicis returned to power, yet Machiavelli dedicated The Prince to the ruling Medici of the time, leading many over the centuries to speculate that The Prince was a satire. 20th century French philosopher Maurice Merleau-Ponty went so far as to assert, "Machiavelli is the complete contrary of a machiavellian, since he describes the tricks of power and 'gives the whole show away.' The seducer and the politician, who live in the dialectic and have a feeling and instinct for it, try their best to keep it hidden."
. Regardless, The Prince remains one of the most influential political philosophies of history, and Machiavelli himself will forever be associated with the "ends justify the means" philosophy that he wrote about. Either way, understanding the significance of his writings and their place in the history of political theory requires exploring the world in which Machiavelli lived and worked, tracing his diplomatic career, his encounters with some of Italy's most influential rulers, and the financial desperation and ignominy he suffered in exile from his native city.